After 4 years, it was decided to prepare a new website. 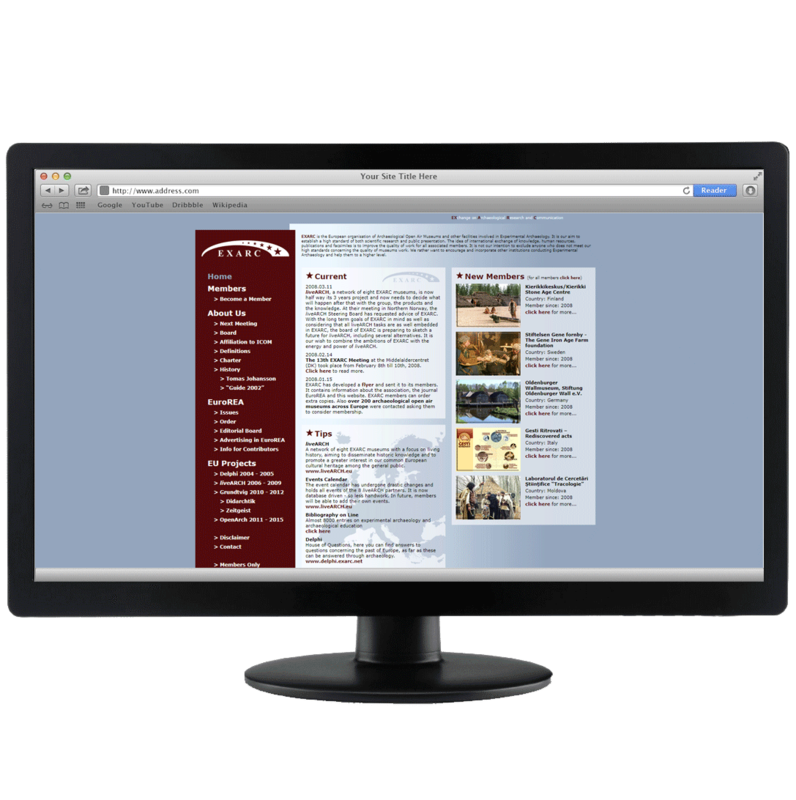 Not only did the graphic design need work: it was felt important to profile EXARC better: some of the content pages were already managed elsewhere and the EXARC website served as a portal. It was decided that the website should first and foremost inform about the association and its members, and on the second place be a starting point – a portal – for colleagues and others professionally interested in archaeological open-air museums, living history museums and experimental archaeology. The new website was presented at the 3rd liveARCH meeting in Foteviken, Sweden.